Migration is a complex reality of human mobility that involves and links people with various territories that include places of origin, transit and destination, as well as diasporic, transnational and even global spaces, built through social, cultural, organizational economic and political relationships, that are developed by diasporas and by migrant communities, among other actors. On the other hand, diasporas are considered “the others”, those who have arrived, those who had emigrated, foreigners of one day or five decades, travelers seeking settlement or in circulation, visitors and residents who are direct actors in the migration process; they are also “us”. Hence, even when they are defined as “minorities” of various types, the migrant population is often ignored or not recognized as political subjects and even as legal subjects.  The process of institutionalization in state and non-state agencies and the bureaucratization of the migration agenda are distorted by the lack of transparency and by the exclusion of people and realities from the migrant population, which translates into superficial and unjust simulative public policies, which have as their only interlocutors the voice of convenient intermediaries. Because of these, over the years, migrant organizations and diasporas have been pointing out the need to anchor their advocacy work in a vision of the ideal society we want to build. The transversal and reciprocal co-responsibility of the diasporas and migrants themselves with their states, or the global self-governance of these groups, without intermediaries, is not impossible, given the certified autonomic capacities they deploy in the world. In response to the ravages of globalization and the phenomena associated with the neoliberal phase of capitalism, this has led not only to the reconfiguration of economic, political, cultural and social activities, but also to simultaneous action at several levels (local, regional, national, continental, international, transnational, global, etc.) and with a wide variety of interlocutors. The purpose of this theme is to share the identification of the pillars of public policy that should characterize our ideal society, as well as the areas of good governance that must be present in the type of society we want to build from organized migrant communities. The goal of building fair societies where the majority of people can satisfy their economic, social, cultural and political aspirations autonomously and with self-determination should not be seen as an antidote to human mobility, but rather as an ethical and moral duty of good democratic governance. On the road towards the articulation of an action plan for political advocacy, more specific assessments are needed on the reality in the field and the capacity of civil society actors, especially diasporas and organized migrant communities. The challenge of reaching higher and more effective levels of social and political organization among “us” must remain a central focus in the ongoing advocacy process to achieve the ideal society we want. Therefore, the organization of the migrant population must be established in the ideological and political terrain, from which analysis and collective and collaborative solutions are formulated. Diasporas and the full recognition of their human rights. For this it is necessary to understand their genealogies and historicity, their ascriptions and conformations, conflicts and vulnerabilities, dialogue and outreach capacities. And from there formulate cultural policies of non-exclusion and conviviality with respect; cross-cutting policies of good treatment of transit migrations and variables of circular or permanent residence; policies of reciprocal collaboration; programs of harmonization and homologation of rights of prior and informed consultation; deepen and expose the autonomic capacities of the diaspora communities; among other topics. Organized migrant people, work and activism beyond borders. The objective is to advance in the task of strengthening the organizational capacity of the migrant communities so that they can become more and more actors, capable of influencing and participating in all the decision-making spheres that affect their lives; and on the other hand, advance in defining the type of ideal society we want to build. The harmonization of these two efforts is necessary in order to play an increasingly prominent and influential role in the spaces for political action. Transnational communities and families: their recognition in the active role they play in the face of the experience of migration. It is important to make visible the participation that the families of migrants and communities have in the migratory process, to recognize the co-building experiences that migration has allowed and to broaden the discussion about the needed conditions for the recognition of rights of these actors.